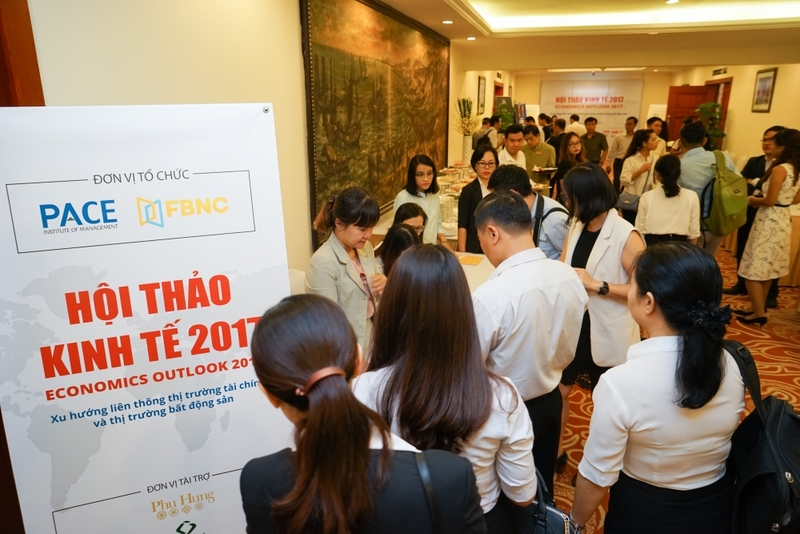 (VEN) - Economists and industry insiders oozed confidence about the nation’s economic growth in general and real estate market in particular at the “Economics Outlook” seminar held recently in Ho Chi Minh City. Prospects are bright for the end of the year as well as 2018, they said. Nguyen Xuan Thanh, director of the Fulbright Economics Teaching Program in Ho Chi Minh City, said that as 2017 draws to a close, the world economic situation has improved and the Vietnamese economy is clearly heading towards prosperity. He noted that from 2010 until now, there has not been a growth surge as strong as seen from Quarter 1-3 this year. The respective growth rates for the three quarters were 5.15%, 6.28% and an estimated 7.46%, he said, adding that this was a positive sign that the economy can achieve the annual target of 6.7% set for 2017.
Credit growth has also been high, the economist observed. As of September 2017, credit had grown year-on-year by 11%. Loans provided for construction, real estate and infrastructure development has soared and overall credit growth for the year could reach 15-19% by the end of 2017, he predicted. Assessing the real estate market trend at present and in the future, Mr. Nguyen Sy Cong, General Director of construction firm Coteccons, said that the property market was displaying some “relatively bright colours.” Besides factors like stable trading, prices have not fluctuated significantly, and FDI inflows into the sector as well as the number of real estate companies have increased, Cong said, adding that market picture was clearly bright at present. Other experts at the seminar also shared their views about changes in investment trends in the real estate sector, in terms of their focus on certain prospective segments. They also spoke of the connection between the financial and real estate markets, and presented some analysis of new trends in financial investment.